Kim Kardashian West speaks at an event June 13, 2017, in New York City. 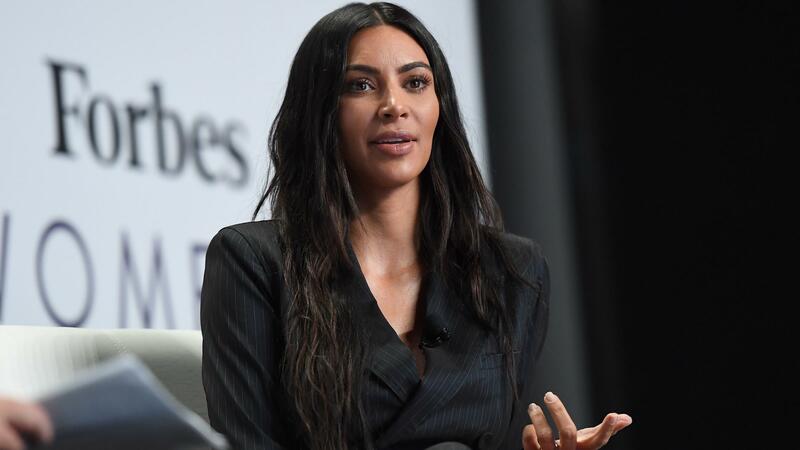 Kim Kardashian West met with President Trump at the White House Wednesday, as the reality star seeks freedom for a great-grandmother serving a life sentence in federal prison. Kardashian West has been pushing for the release of Alice Marie Johnson since she heard Johnson tell her story on news website Mic. Trump tweeted a picture of himself with Kardashian West in the Oval Office. In his tweet, Trump said the two had a great meeting. He said they discussed "prison reform and sentencing." Kardashian responded in kind with a tweet later that night, "I would like to thank President Trump for his time this afternoon. It is our hope that the President will grant clemency to Ms. Alice Marie Johnson who is serving a life sentence for a first-time, non-violent drug offense." While at the White House, Kardashian West was also scheduled to meet with White House official Jared Kushner, the president's son-in-law. Kushner has spearheaded a White House initiative to help better prepare prisoners for life after incarceration. On her Instagram account on Wednesday, Kardashian West sent a post wishing Johnson a happy birthday, saying "today was for you." Johnson's supporters say she has been a model prisoner. During her time as an inmate, Johnson has written plays and become an ordained minister. "To keep Miss Alice in prison for the rest of her life is morally and economically indefensible," said Brittany Barnett, who is part of the legal team set up by Kardashian West to represent Johnson. "She has more than paid her debt to society." Prison reform advocates argue that lengthy sentences issued during the height of America's so-called war on drugs for nonviolent charges are cruel and inhumane. They also point out that keeping these individuals incarcerated is costly for taxpayers. In his last years in office, former President Obama undertook a project to commute the sentences of certain nonviolent drug offenders. Now Kardashian West and others are hoping Trump will act on Johnson's behalf. Kardashian West is the latest celebrity to ask Trump to use his clemency power. Kardashian West's husband, Kanye West, is a Trump supporter. The president and West exchanged compliments on Twitter last month. Trump has granted four pardons and one commutation since becoming president. All of the cases involved prominent figures or received a lot of media attention.